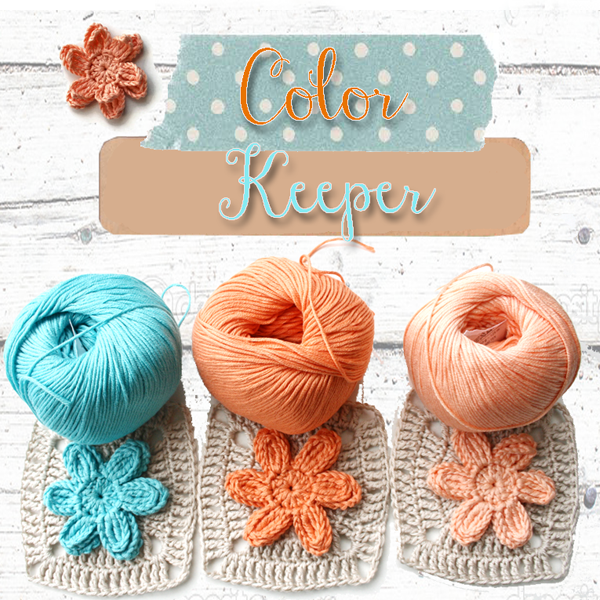 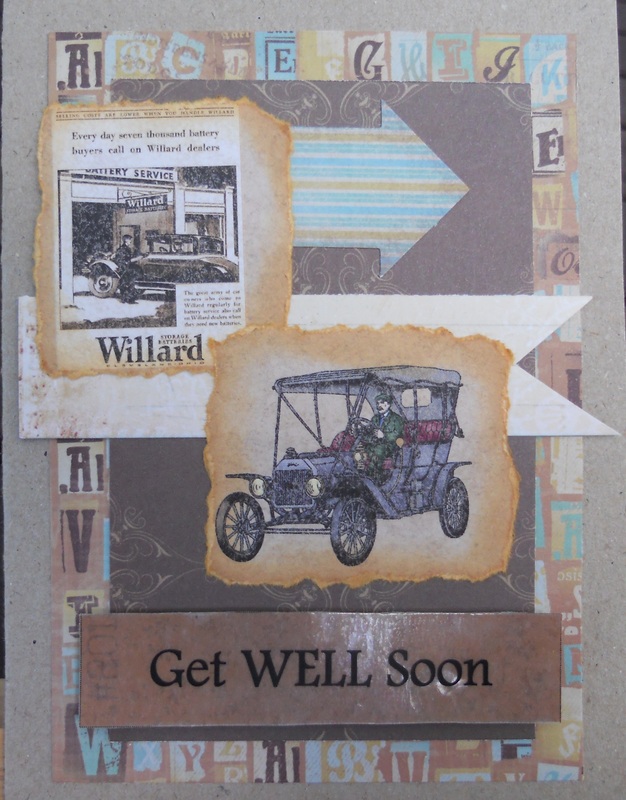 Cut the background papers to fit from Kaisercraft. 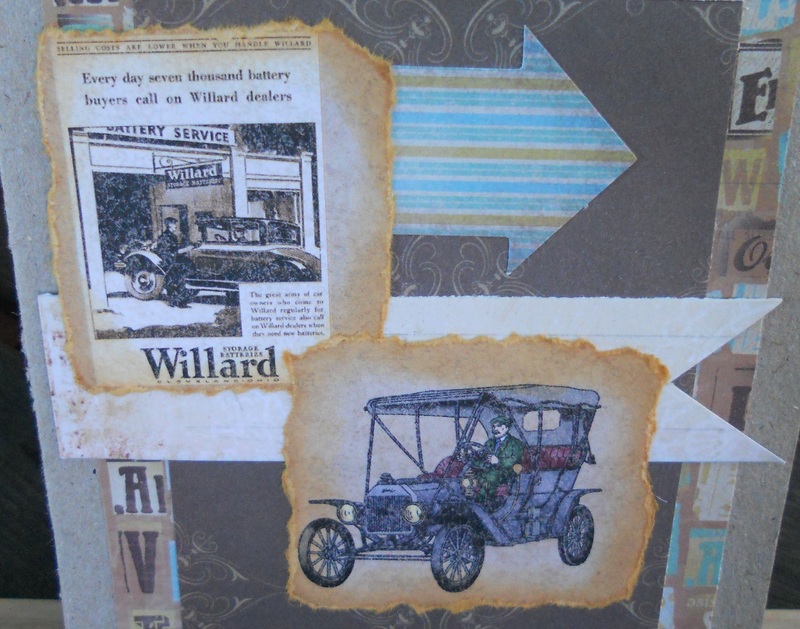 Tear Vintage cars and distress ink edges. 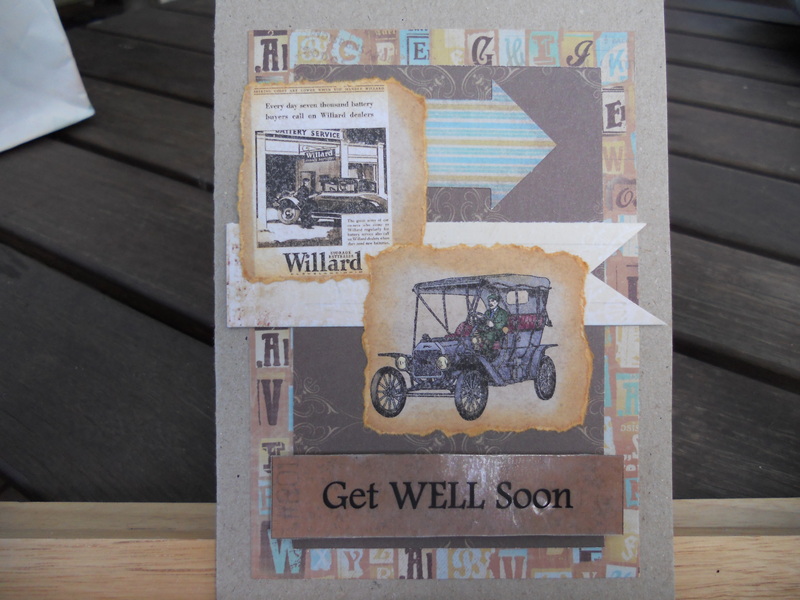 Print Get Well Soon message on Acetate using laser printer and Jac paper to Kaisercraft paper.